The International Accreditation Programme (IAP) delivers a unique global accreditation service to health and social care external evaluation organisations and standards developing bodies. IEEA’s activity does not constitute an accreditation within the meaning of Article 2 (10) of Regulation (EC) NO. 765 / 2008 of the European Parliament and of the Council of 9 July 2008. IEEA bases its evaluation of bodies and standards exclusively on privately developed standards, and they do not comprise an assessment or accreditation by public authorities. IEEA’s activity does not constitute an accreditation within the meaning of Article 2 (10) of Regulation (EC) NO. 765 / 2008 of the European Parliament and of the Council of 9 July 2008. IEEA bases its evaluation of bodies and standards exclusively on privately set standards, and they do not comprise an assessment or accreditation by public authorities. All organisations must complete an online application form and pay the access fee prior to entry into the programme. The completed self-assessment tool, the standards (if applicable) and supporting evidence are submitted by the organisation for technical review 8 weeks prior to the agreed survey start date. All documents must be in English. The aim of the technical review is to ensure that the self-assessment tool has been completed in accordance with ISQua requirements and that all criteria and principles/standards are rated. A technical review report is sent to the organisation commenting on any areas which need to be addressed. No comment is made on compliance. The completed self-assessment tool and the supporting evidence must be submitted to ISQua 4 weeks prior to the agreed survey start date. No further changes are accepted after this date. For the assessment of standards or surveyor training programmes, the SAT and supporting evidence will be assessed by a team of international peer review surveyors as a desktop/remote exercise. This survey takes place over a 2-week period. For the assessment of organisations, the SAT and supporting evidence will be assessed by a team of three international peer review surveyors who will travel to the organisation for a 5-day on-site survey. The survey team submits the survey report and award recommendation to ISQua within one week of the survey end date. The report is then reviewed by one of our ISQua Accreditation Managers to ensure that all ratings are in accordance with the ISQua guidelines. The organisation will be given the opportunity to undertake a factual review of the draft survey report to ensure that the surveyors have not misinterpreted evidence or missed information. The feedback will be shared with the survey team who will review it and, if appropriate, amend the survey report accordingly. The survey report is sent to one of our senior surveyors or a member of the ISQua Accreditation Council for a 2-week validation review. The ISQua Validation Reviewer is responsible for reviewing the survey report to ensure that the ratings reflect the findings and the survey report supports the survey team’s award recommendation. The award recommendations from the survey team and the ISQua validation reviewer are sent to ISQua’s Board Accreditation Committee (BAC). The BAC governs the International Accreditation Programme on behalf of the ISQua Board and is responsible for making the final award decision. The Accreditation Award is valid for a period of 4 years. Accredited organisations receive an Accreditation Certificate and can use the ‘ISQua Accredited’ logo. The use of these are subject to ISQua’s terms & conditions. Continuing accreditation status is subject to the completion and submission of progress reports. Organisations are required to submit a progress report 12 months post-award, outlining how and when the survey report recommendations will be addressed or how they have already been addressed. A second progress report identifying any further changes and/or updates in relation to outstanding actions is required 30 months post-award. Organisations may also be required to provide evidence as part of this process. Failure to provide progress reports and/or requested supporting evidence will result in an organisation being in breach of their accreditation status and accreditation may be revoked. Organisations will be contacted 9 months prior to their accreditation expiry date to schedule the re-accreditation of their standards/surveyor training programme/organisation. Re-accreditation surveys take place at least 3 months before the end of the accreditation cycle to prevent any lapses in accreditation. 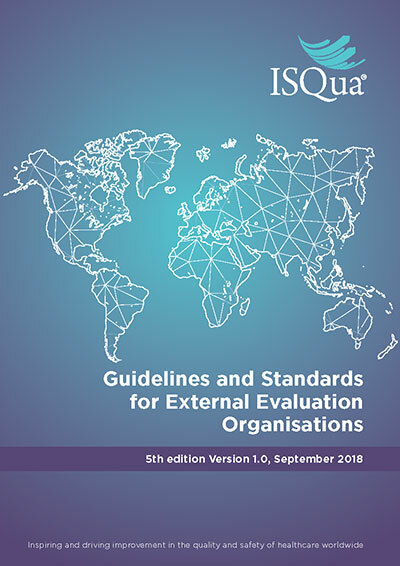 Organisations are assessed against the ISQua Standards for External Evaluation Organisations. Three international peer review surveyors travel to the organisation for a 5-day survey. Prior to the survey, the organisation is required to submit a self-assessment with supporting evidence via our online survey management tool ISQua Collaborate. The organisation is responsible for the costs of the surveyors’ flexible economy flights, accommodation and subsistence. 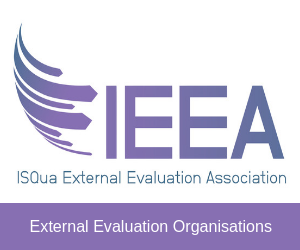 Organisations are assessed against the IEEA's Standards for External Evaluation Organisations. Three international peer review surveyors travel to the organisation for a 5-day survey. Prior to the survey, the organisation is required to submit a self-assessment with supporting evidence via our online survey management tool ISQua Collaborate. The organisation is responsible for the costs of the surveyors’ flexible economy flights, accommodation and subsistence. 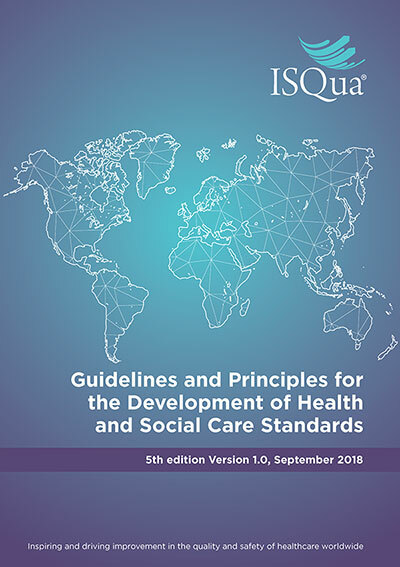 An organisation's standards are assessed against the ISQua Principles for the Development of Health and Social Care Standards. This is a desktop/remote survey which takes place over two weeks. Organisations are required to submit a self-assessment, a copy of their standards and supporting evidence via our online survey management tool ISQua Collaborate. 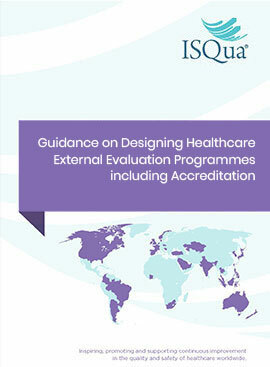 A team of international peer review surveyors will assess the level of compliance against the ISQua Principles. An organisation's standards are assessed against the IEEA's Principles for the Development of Health and Social Care Standards. This is a desktop/remote survey which takes place over two weeks. Organisations are required to submit a self-assessment, a copy of their standards and supporting evidence via our online survey management tool ISQua Collaborate. A team of international peer review surveyors will assess the level of compliance against the IEEA's Principles. Surveyor training programmes are assessed against the ISQua Standards for Surveyor Training Programmes. This is a desktop/remote survey which takes place over two weeks. Organisations are required to submit a self-assessment with supporting evidence via our online survey management tool ISQua Collaborate. 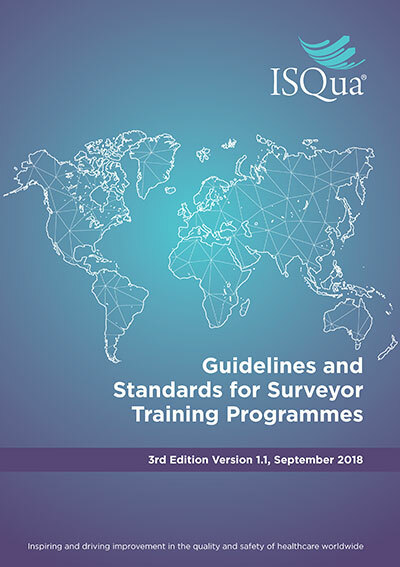 Afterwards, two international peer review surveyors will assess the level of compliance against the ISQua Standards for Surveyor Training Programmes. Organisations who have previously received surveyor training programme accreditation may subsequently elect for the combined on-site organisational and surveyor training programme survey, for which they receive two separate awards. Surveyor training programmes are assessed against the IEEA's Standards for Surveyor Training Programmes. This is a desktop/remote survey which takes place over two weeks. Organisations are required to submit a self-assessment with supporting evidence via our online survey management tool ISQua Collaborate. Afterwards, two international peer review surveyors will assess the level of compliance against the IEEA's Standards for Surveyor Training Programmes. Organisations who have previously received surveyor training programme accreditation may subsequently elect for the combined on-site organisational and surveyor training programme survey, for which they receive two separate awards. Please ensure that you have downloaded and reviewed the Guidelines and Principles for the Development of Health and Social Care Standards. At the heart of the IAP are the IEEA surveyors. The IEEA has experienced international professionals who work with health and social care external evaluation organisations around the world. Their role is to validate an organisation’s self-assessment and confirm their level of achievement against the ISQua Principles and Standards. The IEEA surveyors provide the organisation with a written report identifying the organisation’s strengths and promoting continuous quality improvement. ISQua Accreditation is granted for four years. Accredited organisations receive the final survey report, an ISQua Accreditation Certificate and the use of an ‘ISQua Accredited’ logo. All IAP awards are acknowledged annually at ISQua’s International Conference. Organisations who have achieved ISQua Accreditation are acknowledged annually at ISQua’s International Conference.